ApexSQL Monitor uses SQL Server performance reports as an essential feature for analysis of contemporary and historical SQL Server performance data. 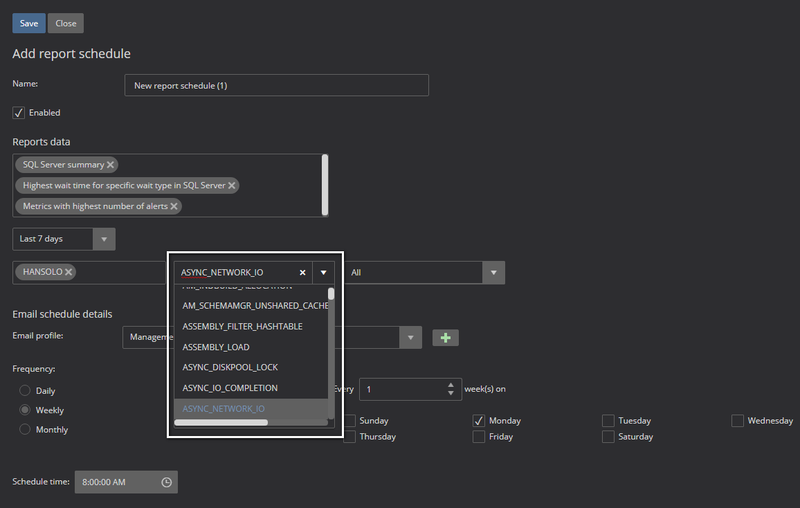 ApexSQL Monitor collects and keeps performance data into a repository database for a time frame defined by the retention policy that can be set by the user. The stored data are used for generating built-in or custom performance reports that are part of the application. Why and when should I use ApexSQL monitor reports? What report types does ApexSQL Monitor offer? What ApexSQL Monitor user permissions do I need for generating performance reports? 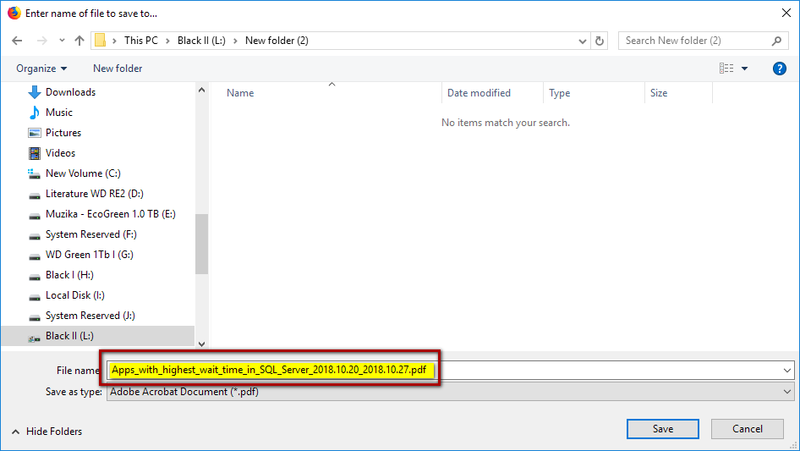 How can I access ApexSQL Monitor performance reports? What time period can I use for generating performance reports? How does the retention policy affect the performance reports? Can I generate a report for multiple sources at once (SQL Servers, databases, etc.)? Can I see some additional details directly in the generated report? Can I save or email the report for later analysis or archiving purposes? How can I schedule the emailing of reports? 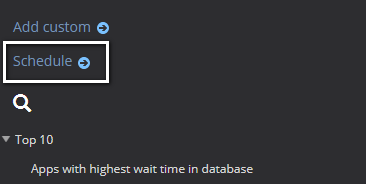 Can I edit already scheduled reports? What if I remove some monitored servers that are added in the report scheduler? Why and when should I use ApexSQL Monitor performance reports? What user permissions do I need for using performance reports? To generate a performance report the Reader user permission is sufficient. 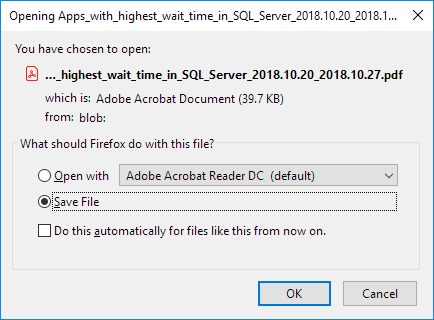 How can I access the performance reports? There are four predefined periods that user can select from the drop-down menu: 1 day, 3 days, 7 days and 10 days. All ApexSQL Monitor reports are based on the historical performance data collected and stored in the central repository database. Thus, the reports can be generated only for the data that still exists in the repository database. For example, if the retention policy is set to preserve the data in the last 30 days, the performance reports can be generated only for the last 30 days period as all data older than 30 days will be automatically purged by the application. Yes. The reporting module does not impose any restrictions on how many sources can be select for the report. Yes. 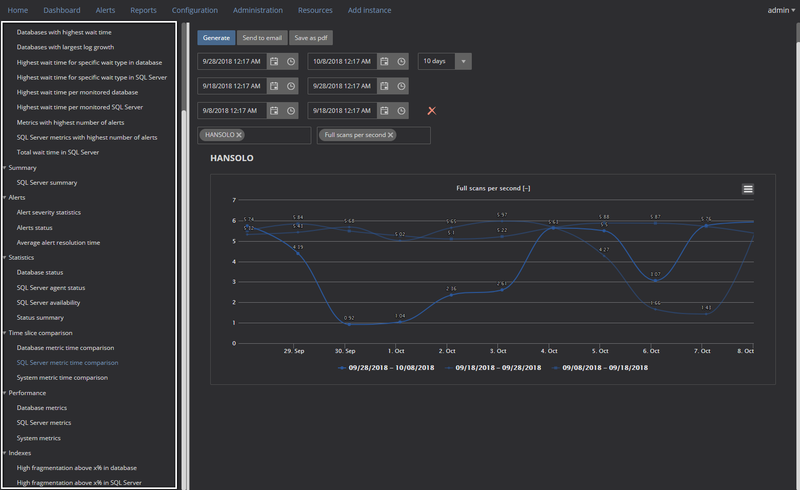 In all charts, additional details are displayed in the tooltips when hovering over the specific data mark in the chart. In the example below, the specific data values for all metrics included in the chart are displayed. Note that those tooltips will not be included in the report saved as the pdf file or sent as the email. To save the generated report, use the Save as pdf button. 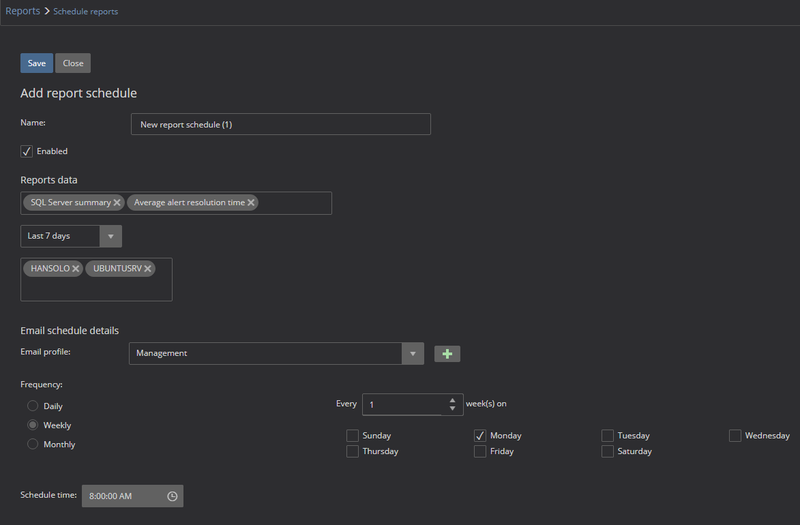 Note that ApexSQL Monitor has to be configured to send emails. 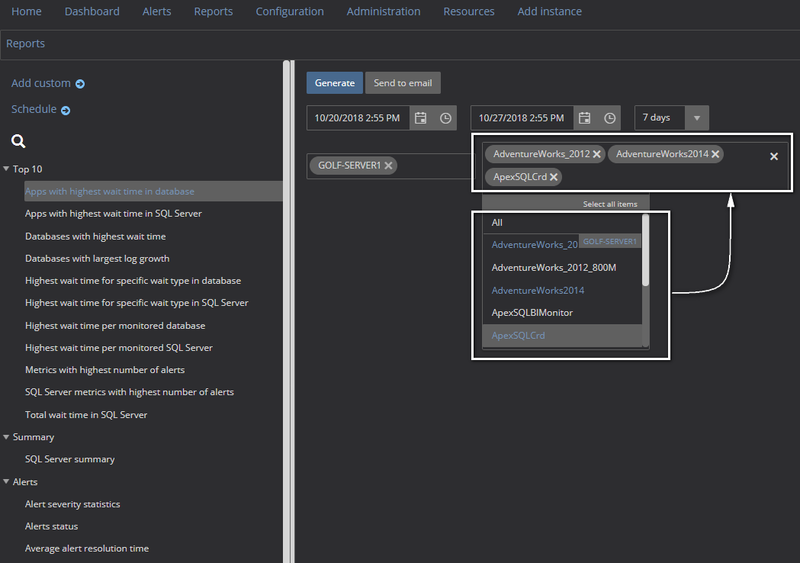 See Working with email notifications and email profiles in ApexSQL Monitor article for more information. 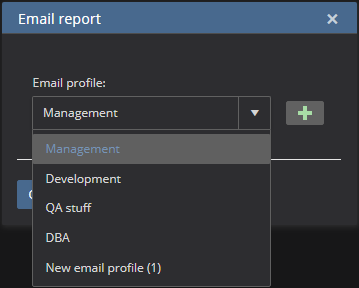 To create a new report scheduler, click on the Add button. 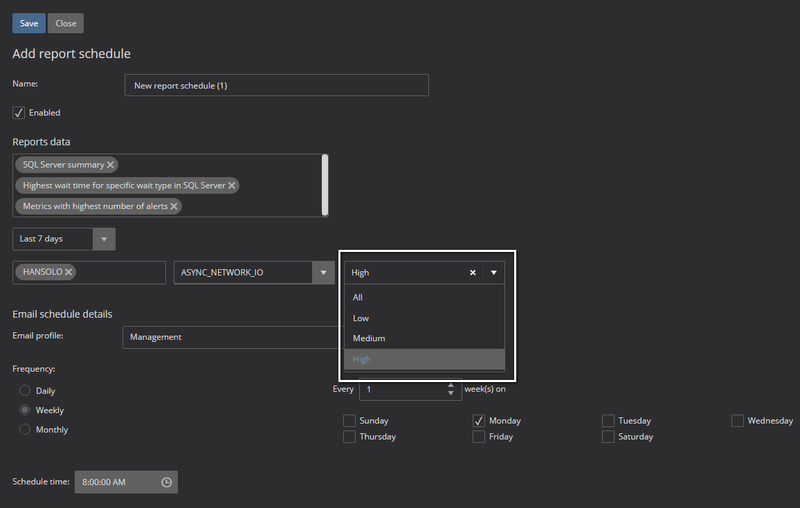 The Add report schedule section follows the standard scheduler scheme that can be seen in the most Microsoft products including the SSMS among others, so only the application-specific options will be explained in more details. Report data selection – This is the dynamic section that will allow you to select the specific report parameters depending on the reports selected for scheduling. What if I remove some monitored servers that were added in the report scheduler?